Loved this apartment. Super modern, classy decor, comfortable with everything we needed. Special mention to the reception lady who gave us great local tips and couldn't have been more helpful. Highly recommend. 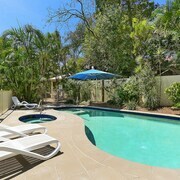 Fantastic location, close to beach and bush walks Fantastic welcome by owner. 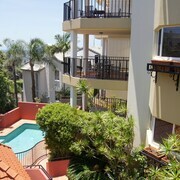 Secure parking,close to beach and bush walks. Vieew from the balcony was stunning we were able to whale watch while relaxing. 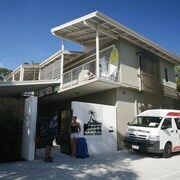 Nice hotel Stayed overnight at Dolphins Beach House in Noosa for skydiving. I made my last minute booking online, it was very easy and convenient. Staff is also accommodating and friendly. It was a short stay but I had a great experience. Apartment was spacious and quiet. Nice view and easy parking. Excellent Self Contained Apartment Our apartment was very well set out, very comfortable, close to restaurants and the local surf life saving club. Beautiful views of the ocean and beach. Cant wait to come back. Good Value in Sunshine Beach The breakfast was eggs, milk, toast which was provided for you to prepare yourself. Just like smashed avo and binge-watching TV, travel is up there with the best things in life. And if your travels take you to Sunshine Beach, you'll discover a seriously amazing range of hotels to choose from. Let's get real — pretty much everyone prefers to stay in the thick of the action. 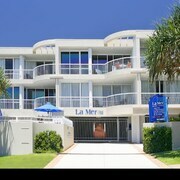 Lucky for you, there are 97 hotels within 5 kilometres of Sunshine Beach's centre on lastminute.com.au. 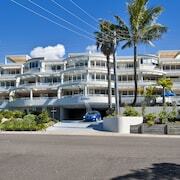 The Fairshore Noosa and the Netanya Noosa are among the most central digs in Sunshine Beach. 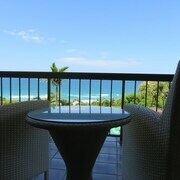 The Sofitel Noosa Pacific Resort and the Bella Casa Noosa also have some good facilities. The neighbourhood of Hastings Street, only 2 kilometres from the centre of town, has 15 hotel options. Consider the Maison Noosa Beachfront Resort and The Sebel Noosa. There is no better place to take it easy than at Ed Webb Park. Need a room for the night nearby? No probs, we've got your back. The Rise Noosa and Peppers Noosa Resort and Villas are not too far away. Take your friends on a sprightly hike through nature at Noosa National Park. As luck would have it, Saks on Hastings and Noosa Springs Golf Resort & Spa are not too far away, so you can visit it as often as you'd like! 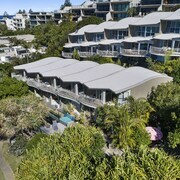 You might also like to try the Eumarella Shores Noosa Lake Retreat or The Retreat Beach Houses. The Eumarella Shores Noosa Lake Retreat is 6 kilometres away from central Sunshine Beach, and the Retreat Beach Houses is 7 kilometres away. 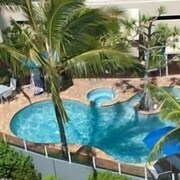 We'd also recommend the Aqua Vista Resort and The Sebel Twin Waters. The first is 30 kilometres away from town, while the second is 25 kilometres away. Don't skedaddle before you've gone to the Noosa Springs Golf Club and the Peregian Golf Course in Doonan. The Noosa Edge Nudist Retreat and Kingfishers Manor @ Noosa are just some of the great short and long-stay options here. 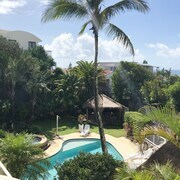 Alternatively, you could stay in Verrierdale, 14 kilometres to the southwest of Sunshine Beach, where you can choose from the Noosa Country House and Noosa Valley Manor B&B Retreat. Aqua Fun Park and Sunshine Coast Laser Tag are just some of the most popular points of interest to explore when visiting Verrierdale. After being cramped in a cabin seat for hours, a nice warm bed at the Santorini Twin Waters will feel heavenly! If it's chockers there, have a squiz at the Ramada Marcoola Beach. Both are pretty much on the doorstep of Sunshine Coast Airport, which is 25 kilometres from Sunshine Beach's centre.